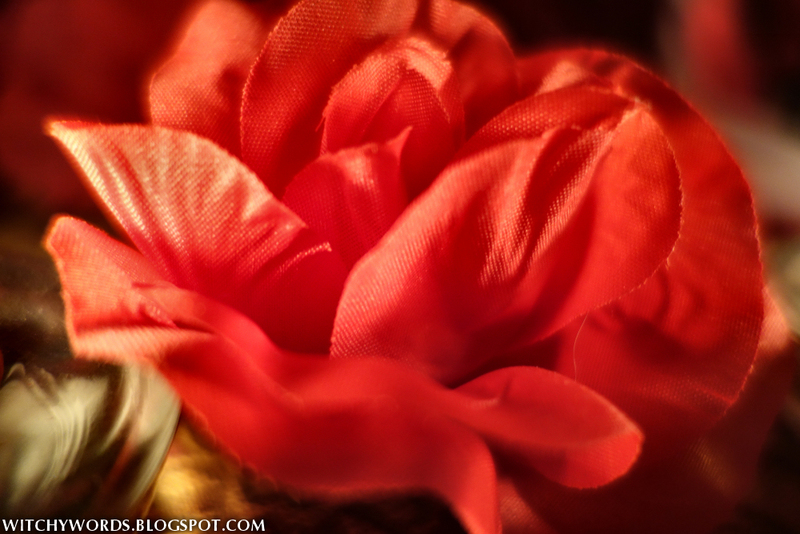 This post will cover the Beltane / May Day 2014 celebration and ritual by the Circle of Northern Fountains. 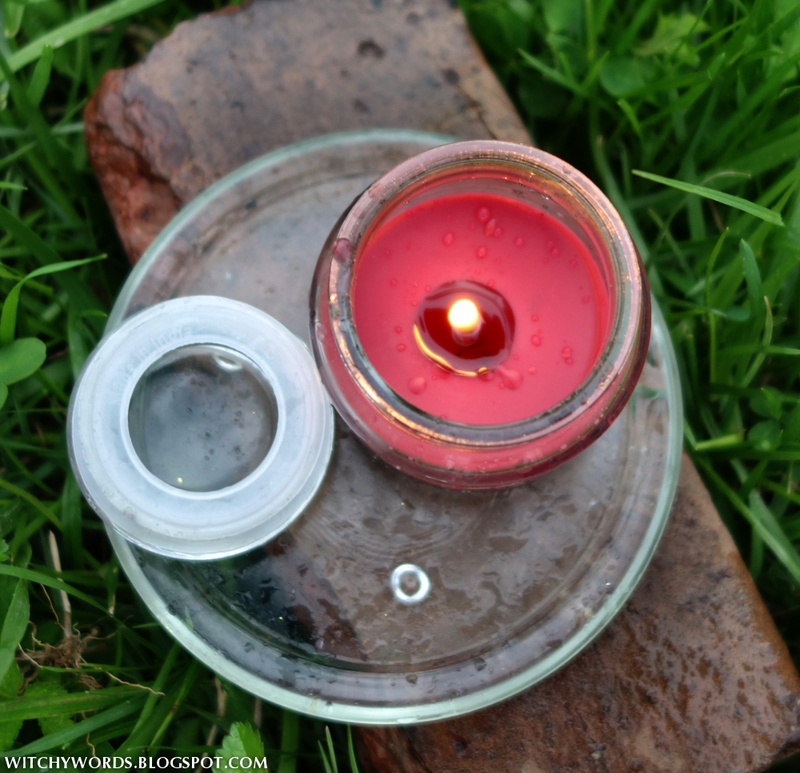 To see my personal Beltane / May Day Altar, click here! To see the Circle of Open Traditions 2013 ritual, click here. 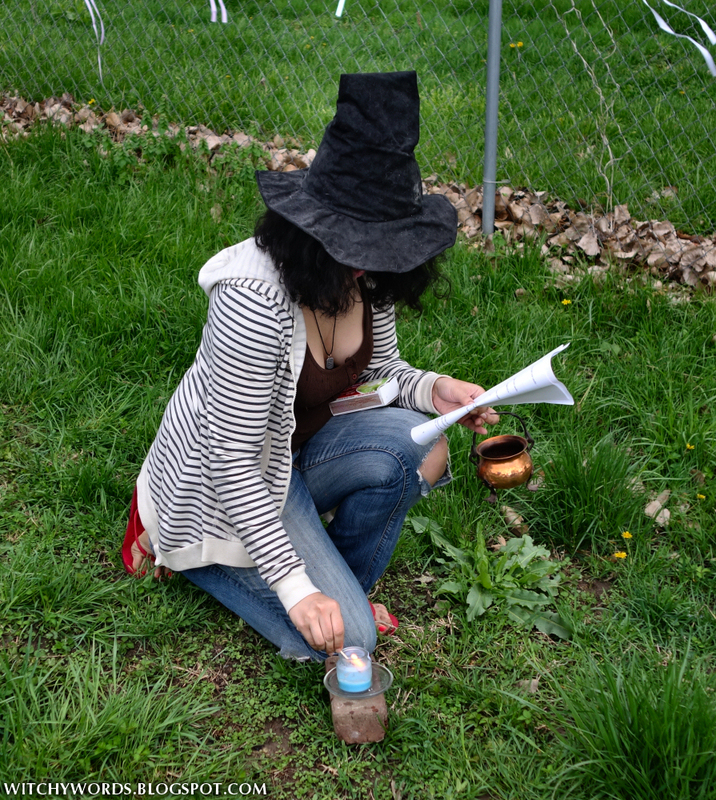 Circle of Northern Fountain's Beltane ritual was written and led by Charli and hosted by Kolika this year. 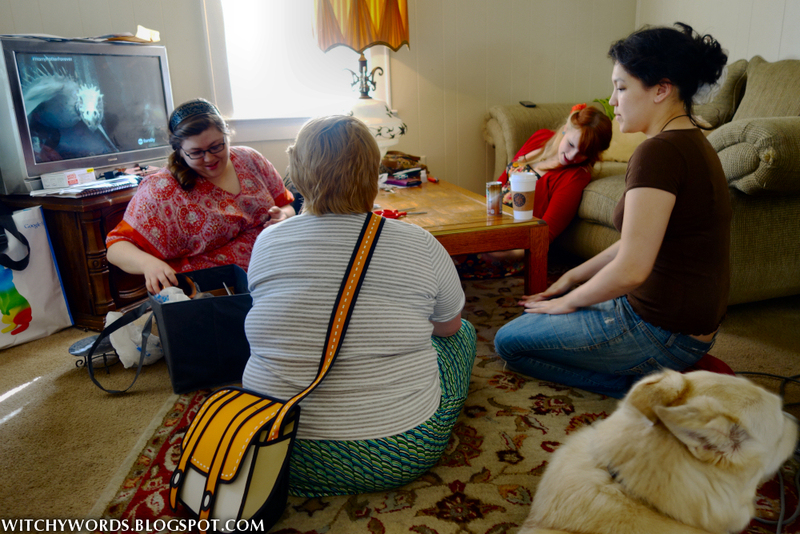 I participated in the fun parts of the ritual planning, like the shopping, but otherwise was pretty hands-off. I have to admit that it's a nice change to not be frantically running around 24 hours before the ritual! Well, I was doing that, but for work, not the Circle. I digress. 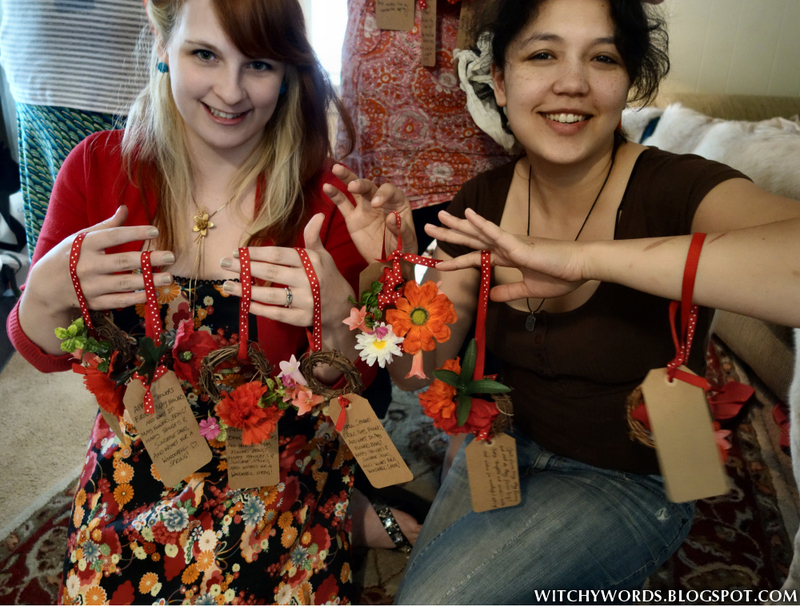 Charli's Beltane ritual began with a craft session. 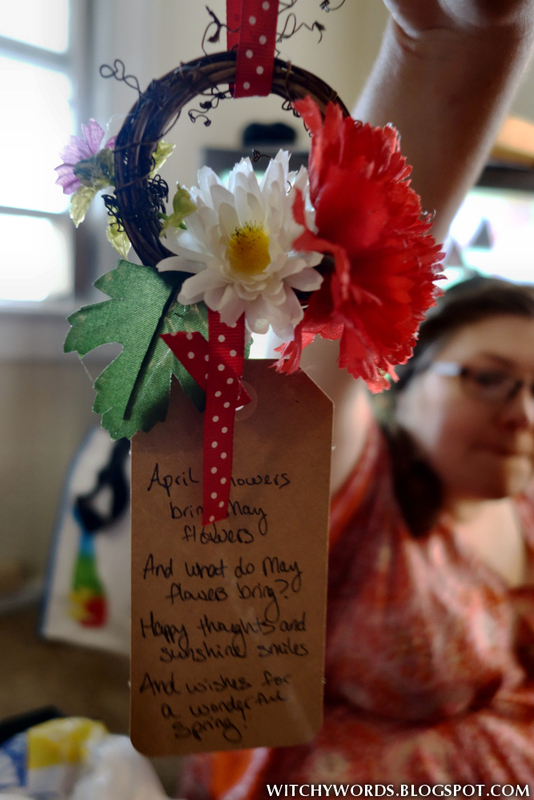 Charli's original plan for the craft was to make mini May Day bouquets in paper cones to hang on neighbor's doors but, while we were out shopping, she ran into something that spawned an even better idea! 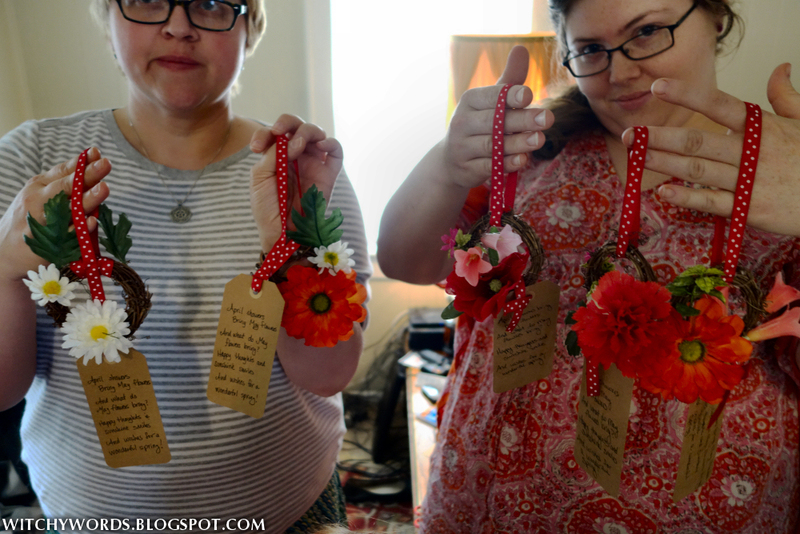 Mini May Day floral wreaths! 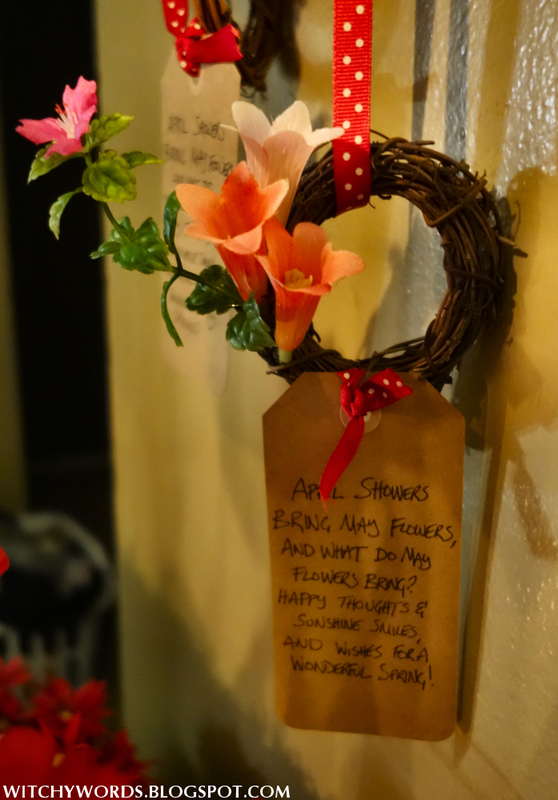 ... and you've got a mini floral wreath perfect to hang on your friends', family's and neighbors' doors! I had to be a horrible hog and make four mini wreaths because I live in an apartment building with four other neighbors, none of which I'm particularly close to or I'd just be choosy. 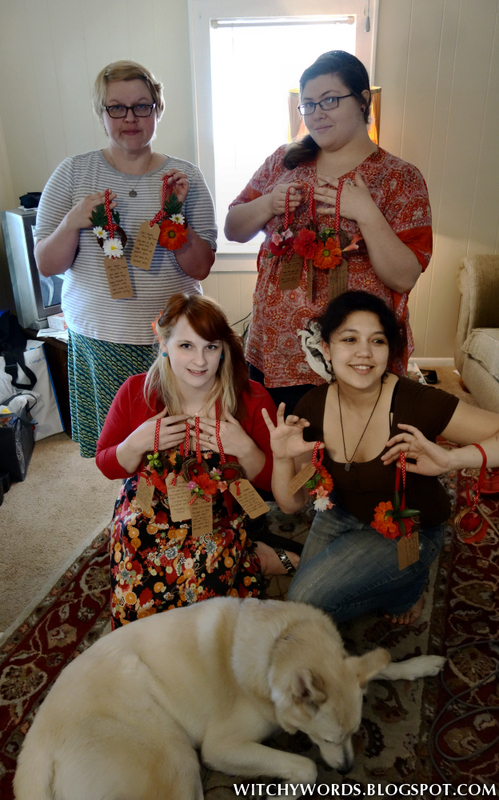 Either way, I think everyone's wreaths came out fantastic! I'm so excited to see how my neighbors react. 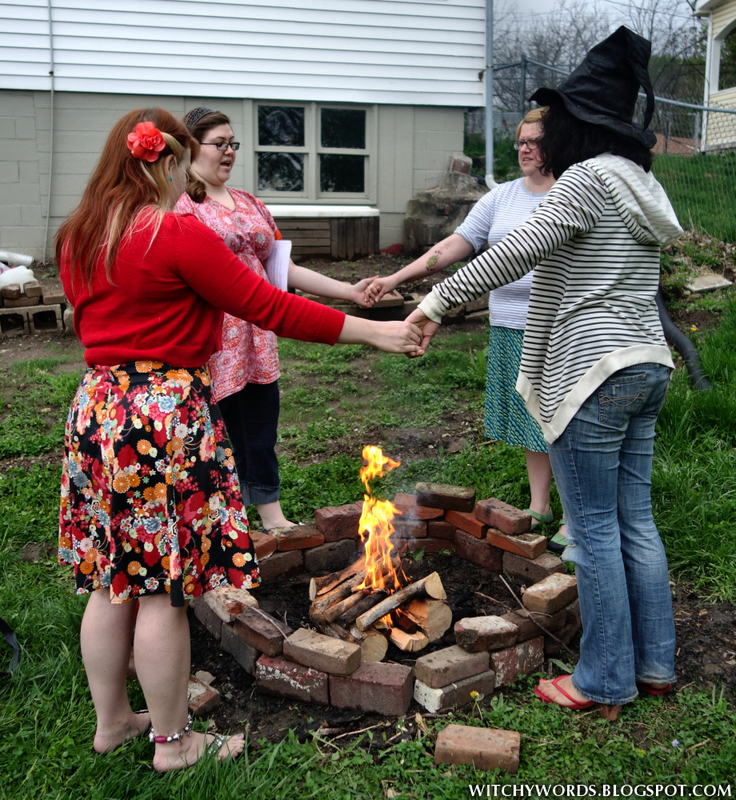 We then headed outside for the Beltane ritual! 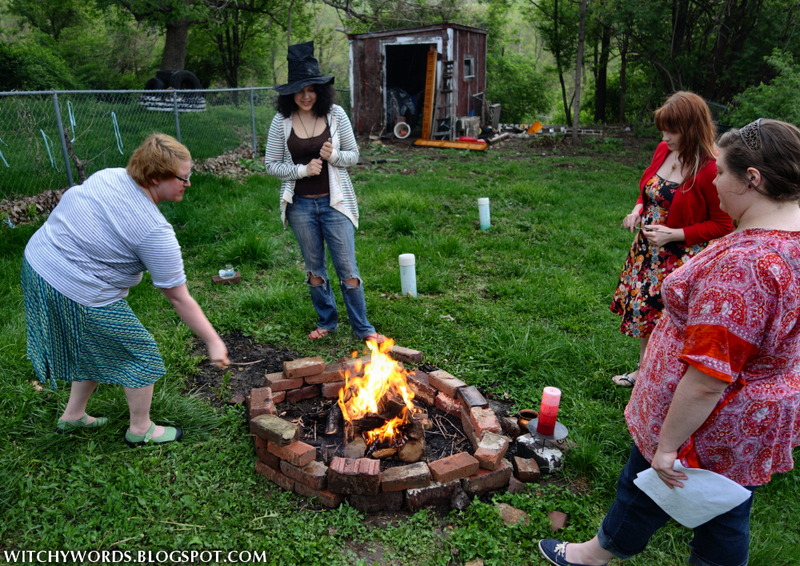 The ritual began with a short intro read by Charli which then led to the calling of the quarters around the Beltane fire. By this point, it was raining fairly steady, but we persevered through it. The candles and fire held up well throughout the ritual, even though it was almost pouring by the end. The camera somehow managed not to pick up any of the rain, but you can take note of how wet our hair gets throughout the ritual. Charli's ritual began with charging a stick with a certain something you'd like to draw to you an adding it to the fire. I chose personal happiness. Others chose things like skillfulness with their job or being more worry-free. The next part of Charli's ritual involved creating wishing boxes. 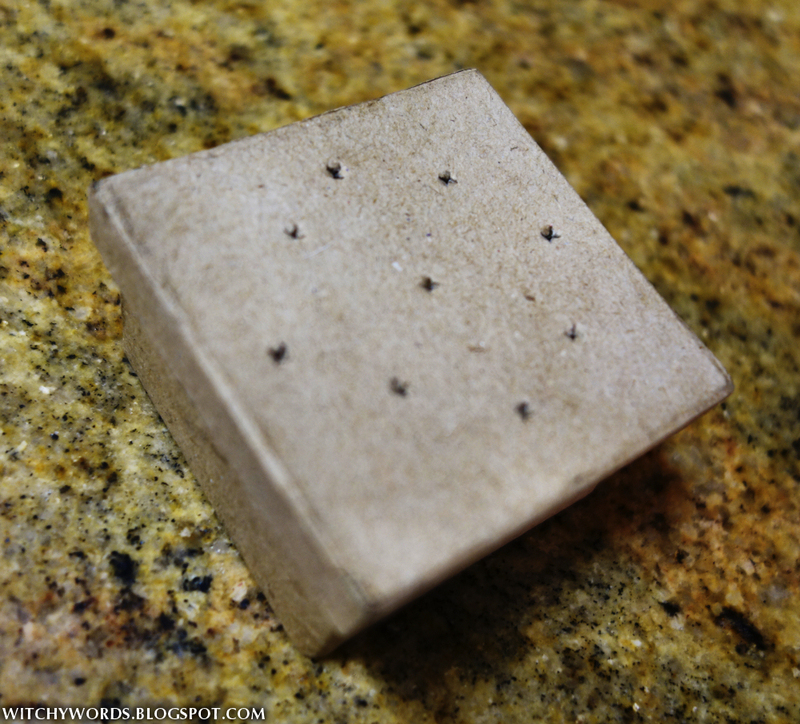 Prior to the ritual, we were to bring a small trinket representative of something we wanted to draw to us. For me, I chose sodalite, the stone of athletics and weight loss. Sodalite is also strongly associated with the thyroid, and I have hypothyroidism. Finally, it's known to have a profound calming effect for those with anxiety. This trio made it perfect for me to use in my wishing box in hopes of getting back on track with my health and fitness! 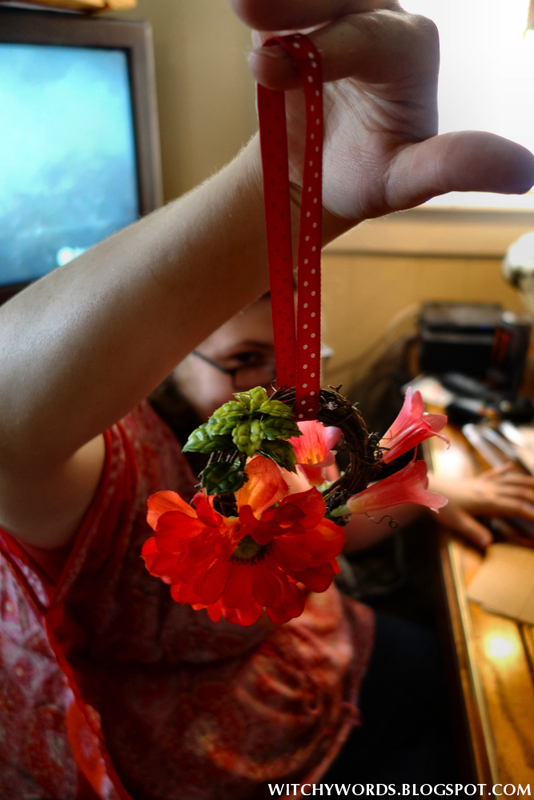 Once the object was charged, we buried it in a slew of different mediums for growing, including dirt and rose petals. We then added the seeds of three different types of flowers. 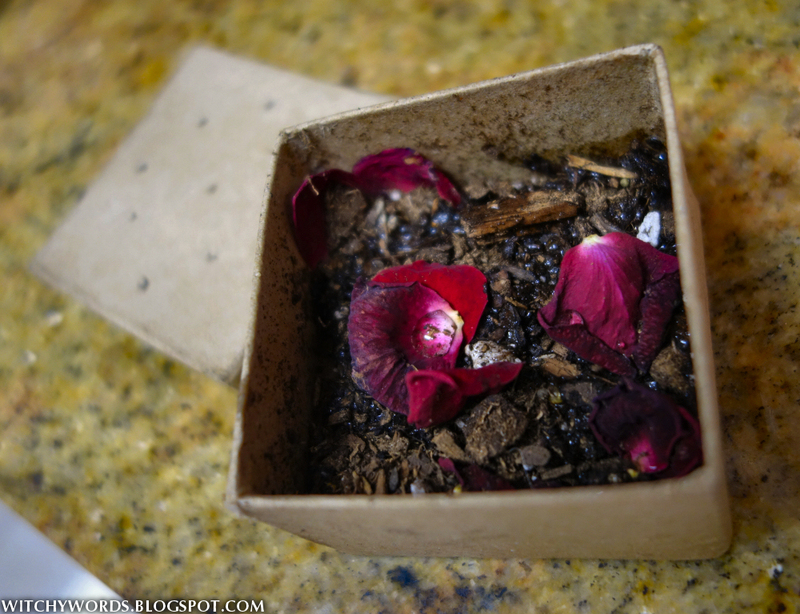 Once at home, you bury the box and the flowers that eventually grow from it are representative of your wishes growing into reality! 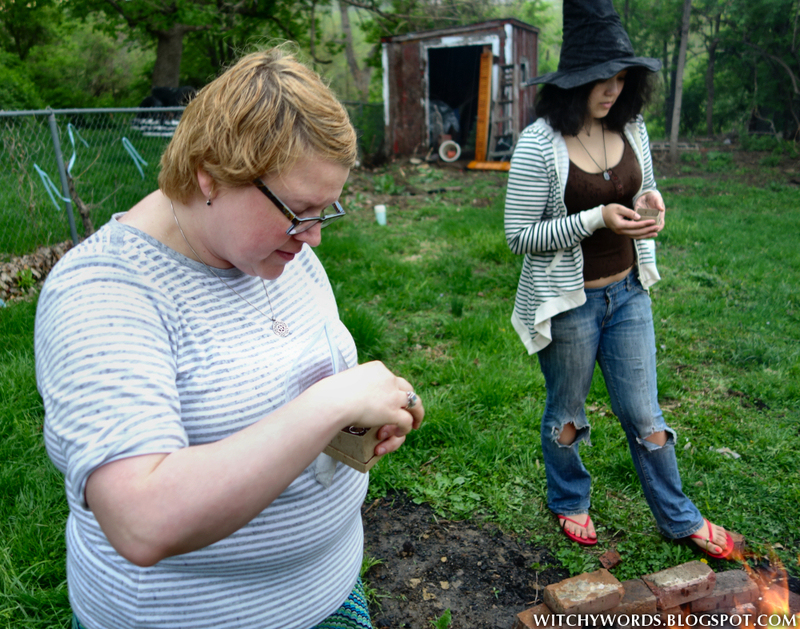 While I have no pictures after we made the wishing boxes because it began to storm, all we had left at that point was a short reading and the closing of the circle. Kolika's boyfriend, Aaron, was absolutely amazing and had dry towels waiting for us when we got in. 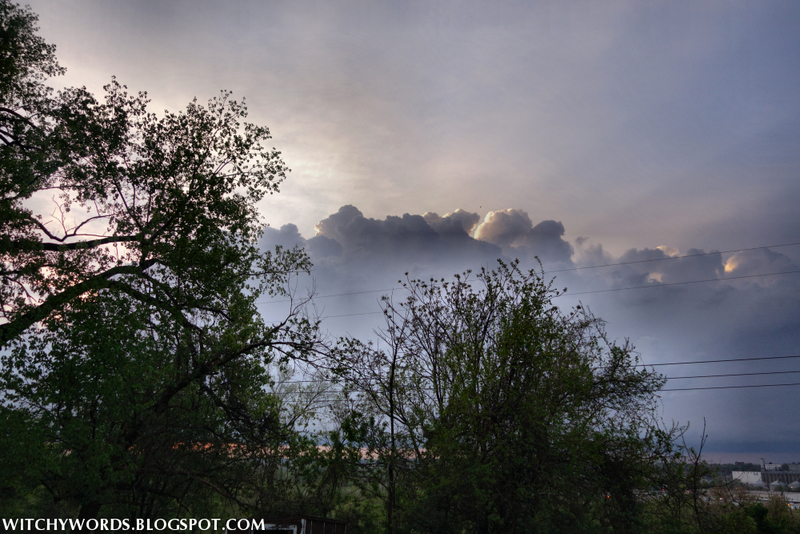 We then stayed in to watch the storm and it's eventual passing. 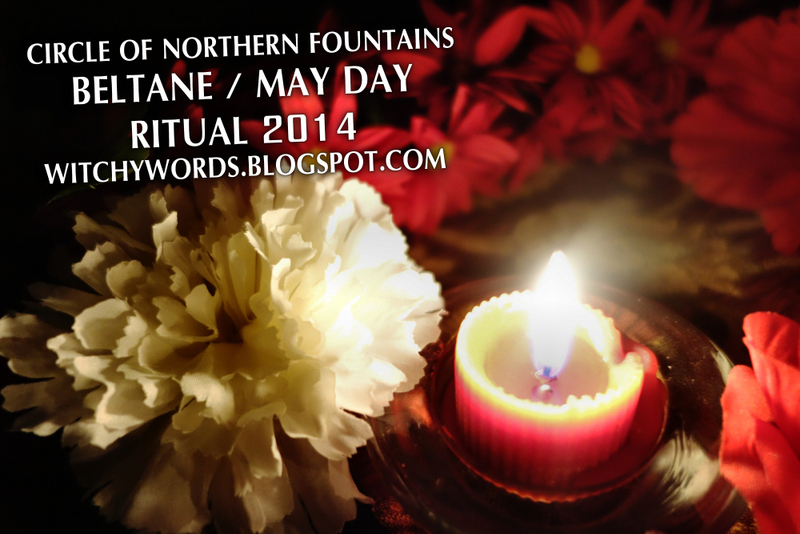 And that concludes the Circle of Northern Fountain's Beltane / May Day ritual for 2014! 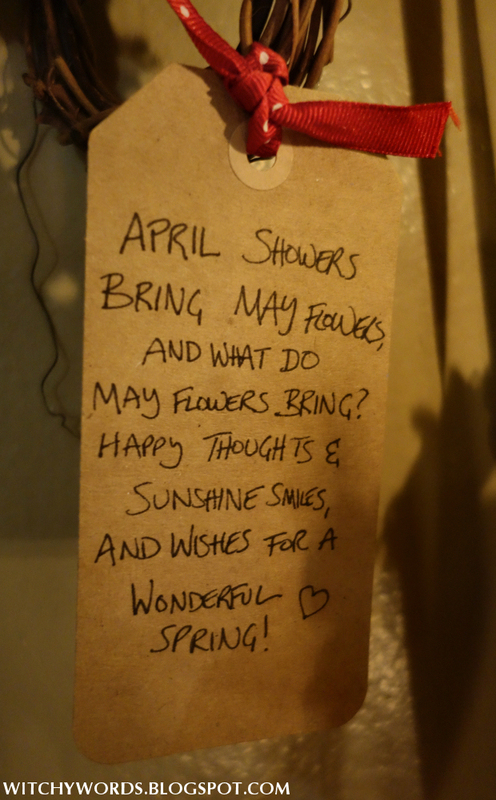 From my family to yours, have a fantastic Beltane! 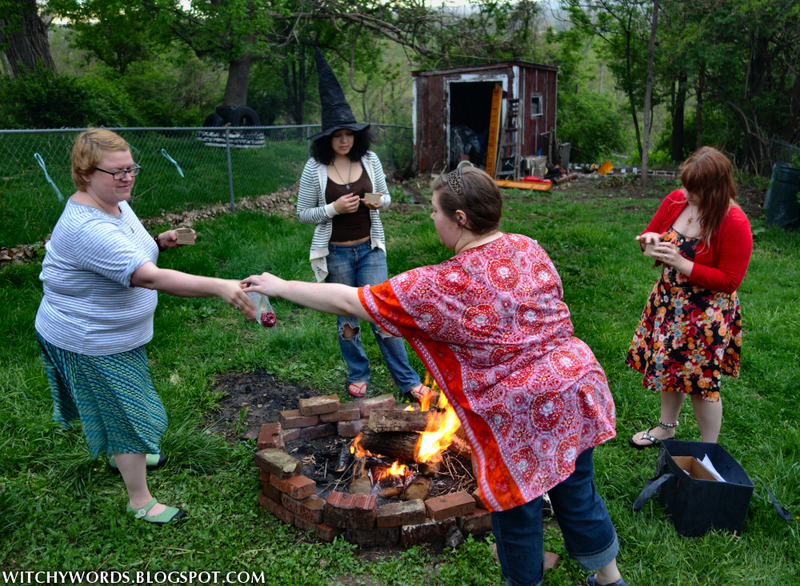 Coming soon: Liithi Lushede Coven's public Beltane ritual. 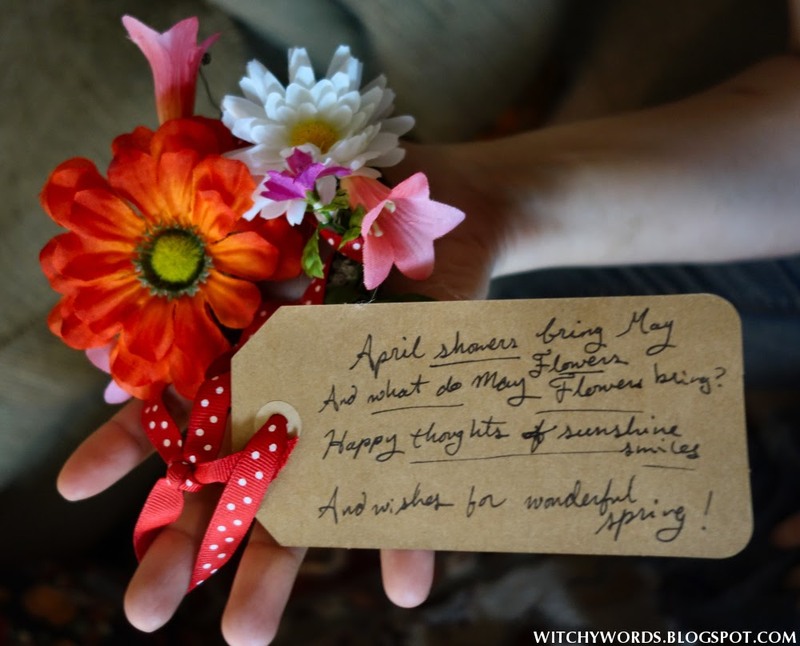 To see the previous sabbat, Ostara / Spring Equinox, click here! Love the idea of the wishing box, would you mind if I shared the idea with my own group? 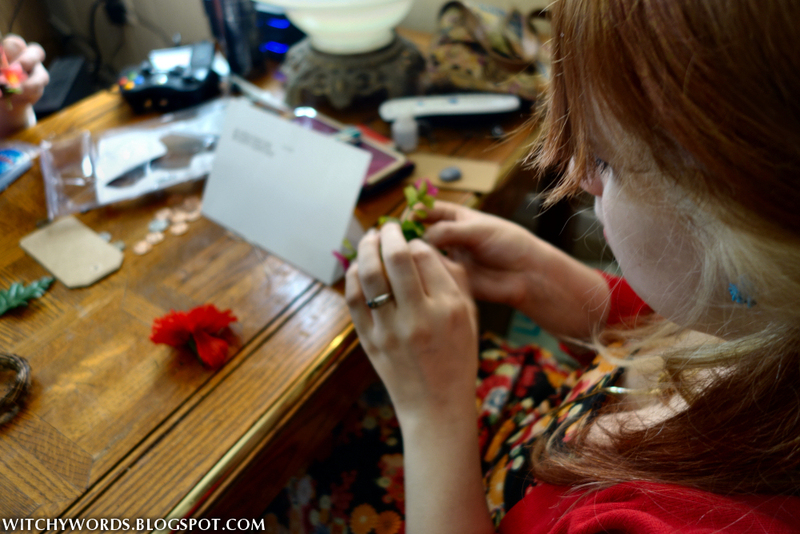 What a lovely ritual and such a thoughtful crafting idea. 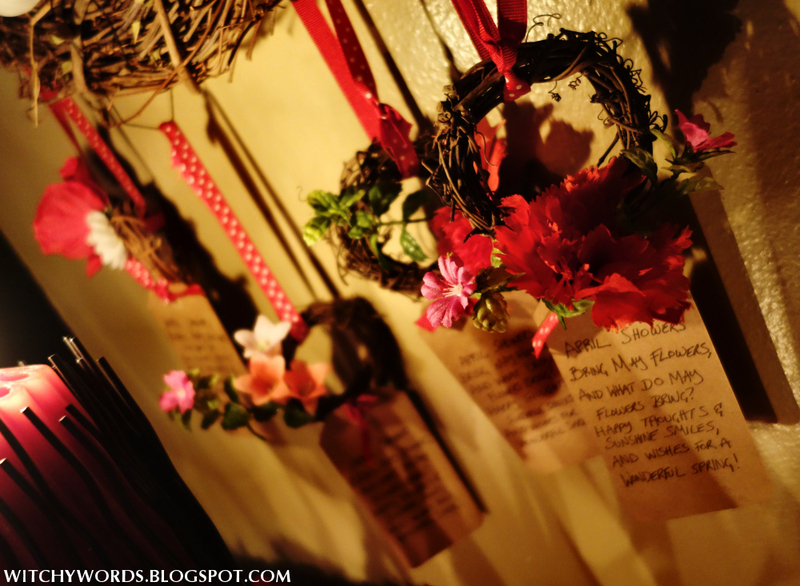 I love those mini wreaths! Thank you so much! 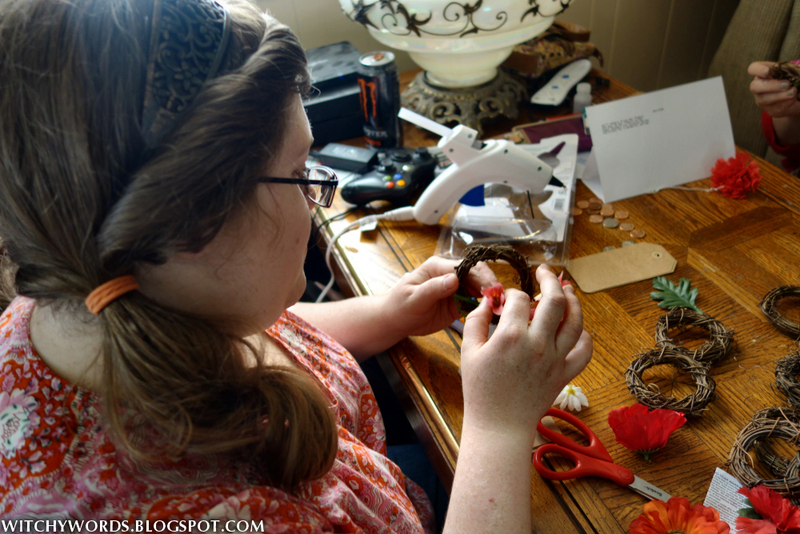 I don't know that we would have done wreaths if we hadn't ran across them at the craft store. 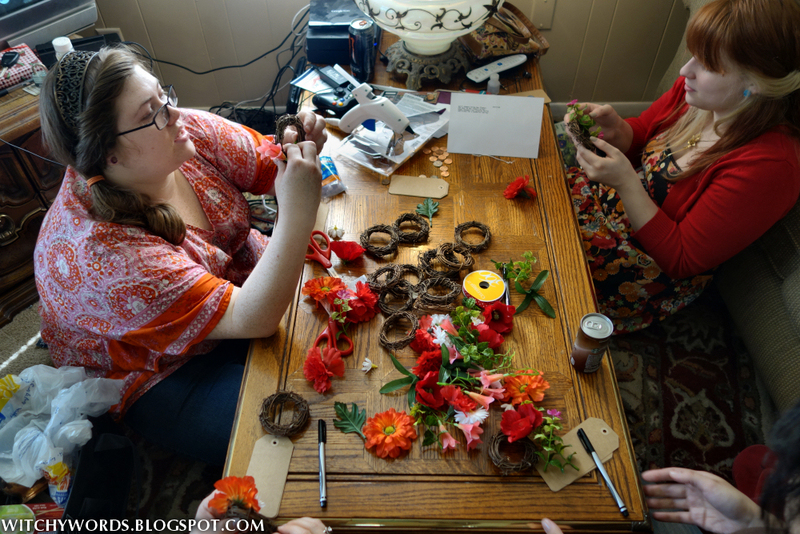 Our original intention was to do the typical cones, but the wreaths made it so much easier!